Abubakar Nurmagomedov has been removed from this bout for “unknown reasons” per Raphael Marinho of Combate. Sergio Moraes is now expected to battle Tim Means. 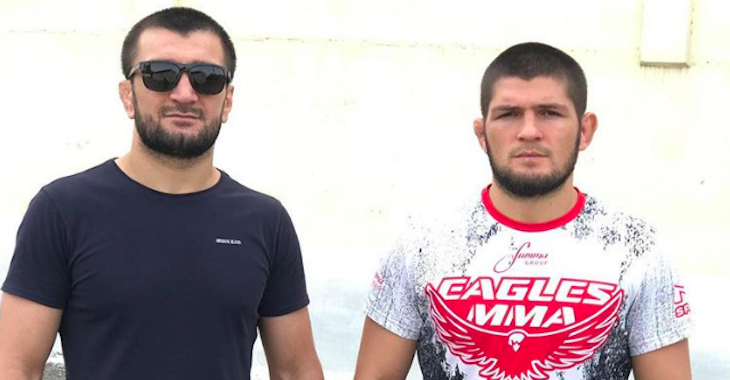 Earlier this week, news broke that Abubakar Nurmagomedov, the cousin of undefeated lightweight star Khabib Nurmagomedov, had signed with the UFC. While it was clear from the get-go that the younger Nurmagomedov would make his debut on the UFC’s planned February 3 trip to Belem, Brazil, however, it was not immediately clear who is opponent would be. Now we know we who he’ll fight in his UFC debut. According a report from Combate, Abubakar will collide with dangerous Brazilian grappling specialist Sergio Moraes on the undercard of this UFC Belem event. Moraes is pretty much as tough a welcome committee as you’ll get in the perilous UFC welterweight division. Though he was knocked out by the surging Kamaru Usman in his last fight, this loss was preceded by a seven-fight unbeaten streak, highlighted by a first-round submission defeat of Neil Magny, and a TKO of Nurmagomedov’s countryman Omari Akhmedov. Moraes is 12-3-1 in sum. While Sergio Moraes is a tough test for any UFC debutant, Abubakar Nurmagomedov will enter the cage with tons of momentum behind him. He’s won his last six fights, five of which occurred in the World Series Fighting cage, where he most notably defeated UFC veteran John Howard. Now 14-1 overall, Nurmagomedov’s lone loss came in 2014, when he stopped by punches dealt by current UFC lightweight Magomed Mustafaev. The UFC’s upcoming stop in Belem will be headlined by a middleweight bout between former light heavyweight champion Lyoto Machida and surging prospect Eryk Anders. The co-main event, meanwhile, will see former women’s bantamweight title challenger Valentina Shevchenko battle Priscila Pedrita at flyweight. 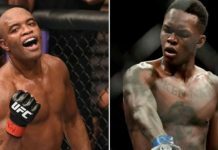 This article first appeared on BJPenn.com on 1/4/2018.